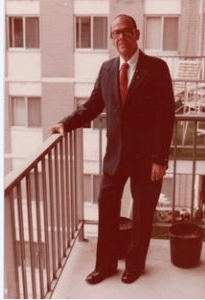 In 1987, Leon A. Mawson published his first book, Persecuted and Prosecuted. 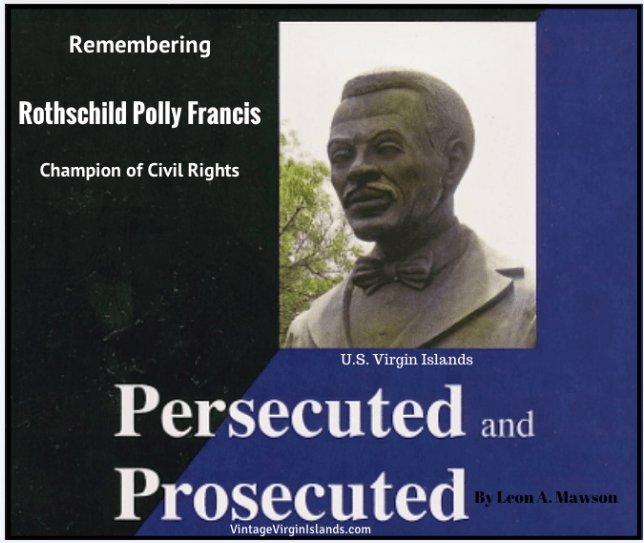 It was about the life of the Civil Rights leader, Rothschild “Polly” Francis. 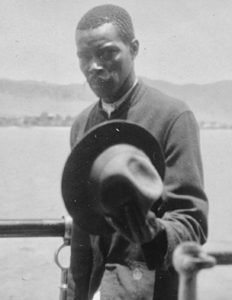 While working as a court stenographer in St. Thomas during the 1930s, Mr. Mawson was privy to the prejudices and injustices directed at Mr. Francis in the court room. As a reluctant eye-witness to the unfounded animosity against him, Mr. Mawson felt compelled to write this book. Born into a life of poverty in 1891, Mr. Francis understood the suffering and distress of others in the same situation. He dedicated his life’s work to fight for economic independence and to act as a public defender for the civil rights of his fellow citizens. Publishing his own newspaper, the Emancipator, allowed him a platform to share his political views. We want no form of government which is half civil and half Naval, he said. We want a purely civil form of American insular government. Unfortunately, some of the people he served and fought so hard to represent, betrayed him, by collaborating with his enemies and sending him to jail. On the day Mr. Francis was released from prison, Mr. Mawson heard him utter the following words. 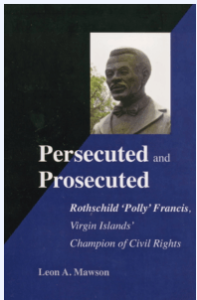 Mr. Mawson’s book serves as a wonderful reference to the life of Rothschild “Polly” Francis. It includes the court case transcripts, editorials from the Emancipator (1920s) and notes from the committee hearings for the bill to provide a Civil Government for the US Virgin Islands. It’s a convenient, historical collection, bound for the reader in a soft-covered version. It is a real time-saver if one were to attempt to gather this information on their own. Mr. Mawson brought the gift of a scholar and the dedication of a patriot to this task. Anyone interested in the history of the US Virgin Islands will value this historical book as a part of their collection. It’s a masterful portrait of a forgotten hero. Copies of the newly-released, second printing can be purchased below. For any questions, please email: VintageVI (at) icloud (dot) com for assistance.